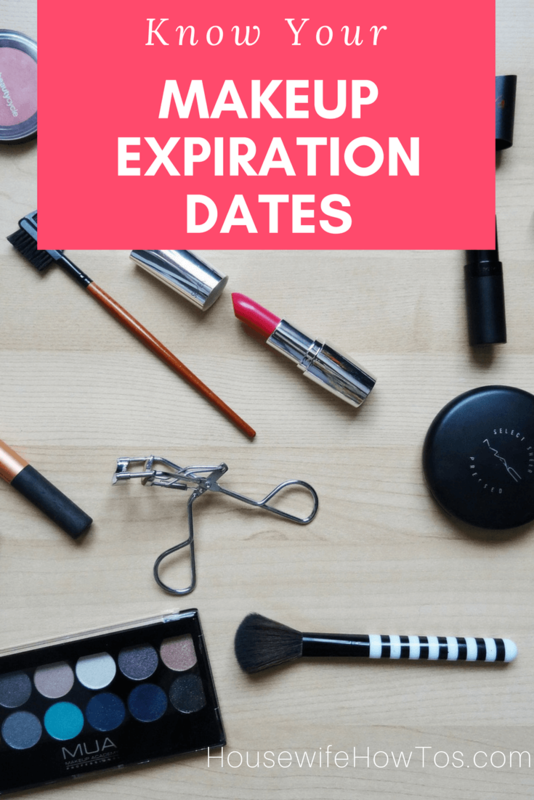 Makeup Expiration Dates: Yes, Those Dates Matter! Knowing your makeup expiration dates can help prevent breakouts, bacterial buildup, even pinkeye. All of those problems are due to the molecules in the makeup, along with contaminants from your skin, blending and changing over time. The solution? 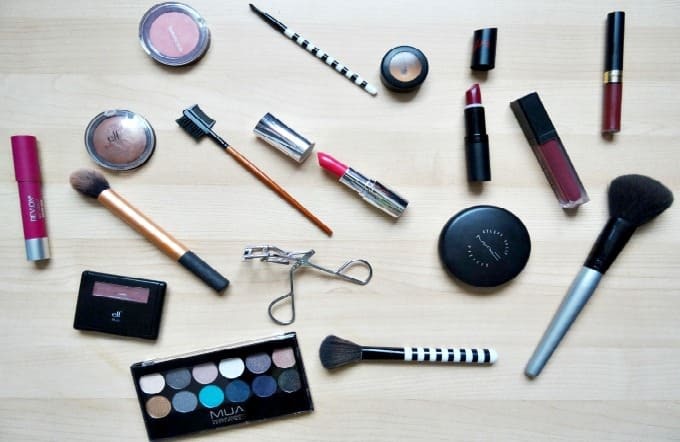 Know your makeup expiration dates and purge your cosmetics regularly. Is using old makeup really a problem? Products designed to act as primers or to deliver SPF or anti-ageing treatments degrade over time. That means you’re not getting the benefits you’re expecting, something which can be harmful when it come to sun protection. And, if you’re of a certain age like I am, you certainly don’t want your anti-wrinkle cream to work poorly! But, reduced efficiency isn’t the only harm that can come from using old makeup. Bacteria builds up in mascara and can lead to pink eye or other infections. Expired lipsticks can cause swelling and peeling. Even old foundation or powders can trigger pimples, rashes, and contact dermatitis. To keep your makeup in good condition, store foundations and liquid products in a cool dark place — not on your bathroom vanity. Keep powders away from direct sunlight, too. Also, be sure to wash your hands before applying any products and use clean makeup brushes and applicators. Don’t even think about sharing. We’ve all lent a lippie to a friend while out at the club or given our bestie the go-ahead to try the new blush we just bought. Unfortunately, that can lead to serious problems down the road. Just ask the young mom who wound up paralyzed after contracting MRSA from a friend’s makeup brush. Sad to say, but one excellent way to keep your makeup from breeding harmful bacteria is by keeping it to yourself. Blush, powder: Up to 3 years. Bronzer, powder: Up to 3 years. Bronzer, stick: Up to 1 year. Concealer, stick: Up to 1 year. Concealer, cream: Up to 1 year. Eyeliner, gel: Up to 1 year. Eyeliner, pencil: Up to 2 years. Eyeliner, powder: Up to 3 years. Eyebrow pencil: Up to 2 years. Eyebrow powder: Up to 3 years. Eyeshadow, liquid: Up to 1 year. Eyeshadow, pencil: Up to 2 years. Eyeshadow, powder: Up to 3 years. Foundation, liquid: Up to 1 year. Foundation, powder: Up to 3 years. Face powder (compact): Up to 2 years. Lipstick: Up to 3 years. Lip balm: Up to 5 years. Lip gloss: Up to 2 years. Lip pencils: Up to 3 years. Mascara: Up to 3 months. Nail polish: Up to 2 years. Sometimes you need to toss a product even if it hasn’t expired. Mascara, for instance, should be replaced if you’ve had an eye infection. Lip products should be tossed after recovering from a cold sore. Even powders may need to be thrown out if the surface gets caked with facial oil, though you might be able to fix it with a bit of packing tape. Yes, it can get expensive replacing expired makeup, but it’s cheaper than going to the doctor with a bad case of pink eye or an oozing rash on your face.